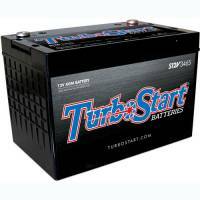 TurboStart produces AGM sealed batteries. In addition to the traditional batteries they also offer batteries designed to look like classic batteries to give your restoration project the fresh from the factory look. 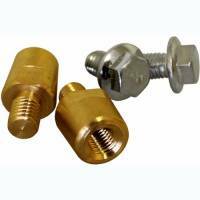 Check out the Recently Listed Battery Terminals and Components. Oversized / Overweight Item! Ships from Michigan. $6.95 Flat Rate Shipping. Oversized / Overweight Item. Ships from Michigan. 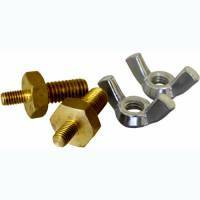 Turbostart gained notoriety for the quality and performance from the, S16V, 16V battery being used in Top Sportsman / Top Dragster, ProMod, Late Model dirt track, Outlaw Sprints and many other forms of motorsports. 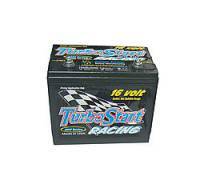 Turbostart continues to be the leader in the 16V motorsports world with the introduction of the S16VL lightweight 16V battery and has now put that same quality and performance into a 12V line of lightweight and high performance AGM batteries. 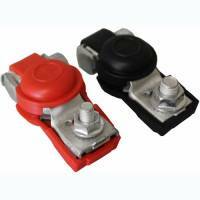 Just like the 16V batteries, the new 12V batteries are built with 100% new lead and use AGM technology which allows for better cranking power and more reserve capacity. Turbostart AGM batteries are sealed to prevent leaks and can be mounted in any configuration needed to fit into any type of vehicle. At Turbostart we understand that in order to finish the race you have to ?START ?at the beginning of the race and we have proven to do that over and over again. Did you also know that Turbostart is the leading manufacturer of collector car restoration batteries that are licensed by MOPAR, FORD, and GENERAL MOTORS? 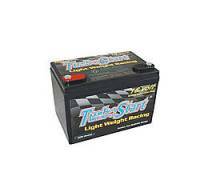 Turbostart collector car dry cell batteries are available for anything from a 1927 6V FORD to a 1957 CHEVROLET. These batteries are 100% period correct down to the correct color plastic caps on the top and are perfect for any numbers matching restoration. Want the old look, but new technology? No problem, Turbostart now offers MOPAR, FORD(Autolite), and GENERAL MOTORS(Delco) collector car maintenance free AGM batteries. These are not a battery in a box or just a cover! These are indeed AGM batteries that inherited the same technology as our proven 16V race battery just with a vintage collector car exterior. These batteries create huge amounts of cranking power and have plenty of reserve capacity to support your high compression street motor, aftermarket stereo, ignition, fuel injection, etc in your Hot Rod, Restomod or Muscle car while still giving a classic vintage look. Drag Racing to Restoration?Dirt Track to Daily Driver?and even Rock Crawling to Recreation you can trust Turbostart quality products to help START your venture off right every time.